Register For Music Lessons TODAY! Welcome To The Music Academy of WNC! Since 1997, the Music Academy of WNC has been Hendersonville’s most prestigious, established, and LARGEST school for music lessons with over 300 students enrolled, thousands of families served, and well over 11,000 lessons taught each year. We specialize in private music lessons, ensembles, music classes and workshops for children, teens, and adults at beginner, intermediate, and advanced levels. We have also provided private coaching for professional studio and touring musicians as well as American Idol finalists. We teach all styles of music including: classical; rock; jazz; blues; pop; country; folk; and MUCH MORE! Below are the benefits of becoming a Music Academy of WNC student and why thousands have chosen us over the years for their music education needs. Give us a call at (828) 693-3726 to schedule your FREE Consultation. We would love to meet and talk with you about your musical direction. If you’re a lover of music, take a look at for a new way to download music. The Benefits Of Becoming A Music Academy Student! 1. We Are The #1 Choice, Best Value, and Largest Private Music School in Henderson County! Music Academy of WNC faculty members teaches over 11,000 private music lessons, holds hundreds of rehearsals for a vast array of ensembles, and teaches dozens of on and off-campus music classes and workshops on a vast array of topics each year. Founded in 1997, we are the most established private music school in Henderson County and have served thousands of families over the decades. Our tuition prices are the most affordable and offer the BEST VALUE of any private music school in Western North Carolina and Upstate South Carolina. We offer the highest level of instruction and number of performance opportunities than any other music school in Henderson County. Multi family member tuition discounts are also available. These things, among others listed on our website, have made us the LARGEST private music school in Henderson County and why more people choose the Music Academy of WNC over any other music school in Henderson County. Give us a call at (828) 693-3726 to schedule your FREE Consultation today! 2. The Music Academy of WNC Offers The Most Comprehensive Music Lessons Of Any Private Music School In Henderson And Surrounding Counties! 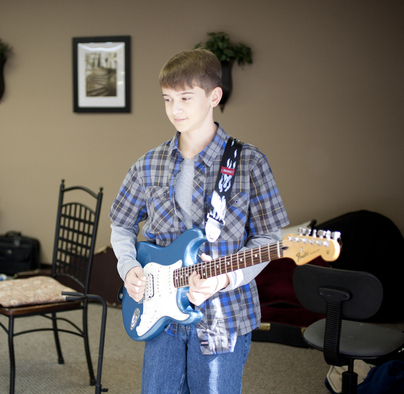 We offer the largest variety of music lessons than any other music school in Henderson County. These options present our students with more performance opportunities to play with one another across multiple instruments and genres. All of our music lessons incorporate classical-based musicianship and technique within the style(s) our students wish to learn. The level of instruction within all our programs is comparable to a college or university setting. Plus, they are LOTS OF FUN! Give us a call at (828) 693-3726 to schedule your FREE Consultation today! 3. Our Faculty Members Are the Most Educated And Qualified Of Any Private Music School In Henderson County! 100% of our faculty have university, college, or conservatory training. 100% of our faculty hold a minimum of a Bachelor’s degree in their field of study and possess decades of professional teaching and performing experience. 100% of our faculty are full-time music educators and performers. 70% of our faculty (13 out of 19) hold a Master’s degree or greater in their field of study. In addition to their teaching credentials, our faculty members have warm personalities, are extremely friendly, and dedicated to teaching you the style of music that you want to learn in your music lesson. Give us a call at (828) 693-3726 to schedule your FREE Consultation today! 4. We Offer The Widest Variety of Performance & Ensemble Opportunities In Henderson and Surrounding Counties! Everything we do at the Music Academy is performance driven. 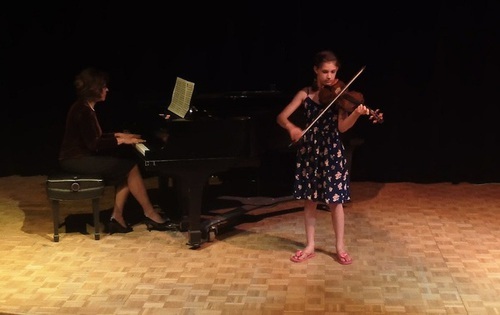 We hold multiple student recitals during the year as well as performance classes and “works in progress” sessions for our students to prepare for their performances. We also offer ensembles for rock, jazz, chamber/strings, orchestra, brass, woodwinds, and various other guitar ensemble combinations that perform on a regular basis throughout the community. Many of our students perform in area bands, orchestras, and church ensembles. We have also had some of our students enter and place in national instrumental competitions as well as be selected to some of the nation’s most prestigious music colleges, universities, and conservatories. Give us a call at (828) 693-3726 to schedule your FREE Consultation today! 5. We Have the Largest, State-of-The-Art, Teaching Facilities in Henderson County! We have a state-of-the-art teaching facility that includes pianos, multiple guitar and bass amplifiers, drum sets and percussion equipment, keyboards and synthesizers, audio and video playback equipment, as well as multiple computer software packages that make our music lessons more enjoyable. We have over 4,000 sq/ft of space with eight large teaching rooms, a rehearsal/performance room, a spacious lobby and waiting area that seats 30 or more people, and a 200 seat multi-purpose use auditorium with stage, full lighting, and sound attached to a large galley kitchen for our recitals and performances. There is also FREE Wi-Fi, U-VERSE for Internet, a comfortable parent’s lounge, and a new cafe coming soon with snack, lunch, and dinner options. Read more about our facilities HERE. Give us a call at (828) 693-3726 to schedule your FREE Consultation today! 6. 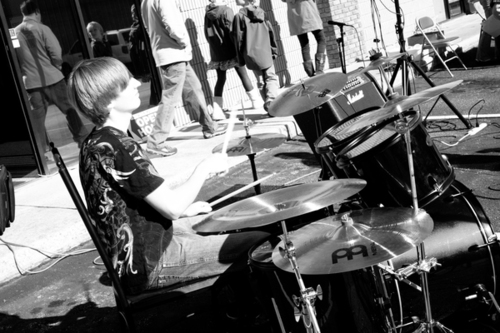 We Offer More Educational Opportunities & Benefits Than Any Other Music School In Henderson County! We provide our students with more educational and performance opportunities than any other private music school in Henderson County through our private music lessons, ensembles, workshops and music classes. We also have a scholarship program to assist those in financial need and a student referral program where students can receive gift cards to their favorite retail stores. Give us a call at (828) 693-3726 to schedule your FREE Consultation today! 7. The Music Academy of WNC DOES NOT incorporate a “one size fits all” Curriculum In Our Music Lessons! All students are different and their musical interests can range from Bach to blues, Mozart to metal, and anything in between. Music Academy instructors concentrate on the musical styles that interest the student all while incorporating musicianship and classical-based technical training into every music lesson so students can be much more musical and technically efficient in the genre(s) that interest them the most. With our teaching methods, students experience progress within a shorter time frame which makes our music lessons fun and keeps enthusiasm high. Give us a call at (828) 693-3726 to schedule your FREE Consultation today! 8. The Music Academy of WNC Prepares Advanced Students For University and Conservatory Music Programs As Well As Regional and National Competition Auditions. 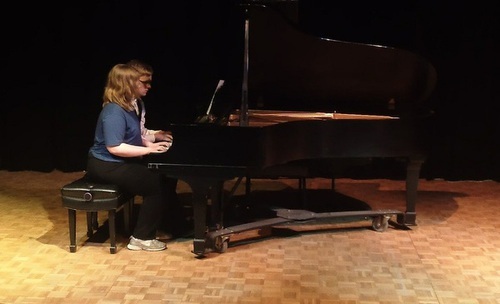 Our students have placed as finalists in many regional and national music competitions and have been accepted to some of the finest university and conservatory music programs in the country. These collegiate programs include Julliard, Curtis, Eastman, Peabody, San Francisco, Oberlin, and a host of other major university music programs. The majority of our faculty members have taught or are currently teaching music at the college and university level so we know how to successfully prepare students for auditions as well as music theory and music history placement exams. Please give us a call at 828-693-3726 to discuss our College Preparatory and Competition Audition programs in greater detail if you are thinking about majoring in music or competing at the regional or national levels. Give us a call at (828) 693-3726 to schedule your FREE Consultation today! 9. We Offer Convenient Music Lesson Times That Fit Anyone’s Schedule! The Music Academy of WNC is opened six days each week to accommodate the schedules of elementary, middle, and high school students as well as the homeschool students, working professionals, and retirees. 10. We Offer Month To Month Private Music Lesson Tuition! All Music Academy private music lesson tuition runs month to month. We have a recurring payment plan set up for all of our students that makes it easy and hassle-free to pay monthly music lesson tuition. Give us a call at (828) 693-3726 to schedule your FREE Consultation today! 11. We Have the Longest Running Referral Program Than Any Other Music School in Henderson County! The Music Academy of WNC offers a referral program to our existing students when they refer new students to us. When an existing student refers and new student to us then BOTH receive a $25.00 gift card upon registration. Check out our Referral Program HERE. Give us a call at (828) 693-3726 to schedule your FREE Consultation today! 12. We Maintain the area’s HIGHEST 5-Star Google Review Rating! The Music Academy of WNC maintains the highest 5-Star Google review rating of any private music school in Western North Carolina. These reviews are from REAL students, their family members, and those who have done business with us. Give us a call at (828) 693-3726 to schedule your FREE Consultation today! 13. We Offer Online Private Music Lessons! Do you live outside of Henderson County? Maybe you are a current student that is traveling and doesn’t want to miss a lesson. We offer online lessons for several instrument offerings to students in North Carolina, South Carolina, Florida, California, and various cities in between. Click HERE for more information about our online lessons. Give us a call at (828) 693-3726 to schedule your FREE Consultation today! 14. We Are Conveniently Located on Asheville Highway in Hendersonville! The Music Academy of WNC is located at 1411 Asheville Highway, Suite B, in Hendersonville. We are minutes from downtown with plenty of restaurant and shopping options available. We have a large, well-lit parking lot with plenty of parking available during all times of the day. Give us a call at (828) 693-3726 to schedule your FREE Consultation today! 15. The Music Academy Offers A FREE Introductory Consultation Before You Commit! We would love to meet you and discuss your musical direction before you commit to private music lessons. We offer a FREE introductory consultation where students and their parents can meet our prospective faculty members. There are no strings attached with these consultations and we offer them so our perspective students and their parents can get to know us and test instructor compatibility before they commit. Give us a call at (828) 693-3726 to schedule your FREE consultation and see why the Music Academy of WNC is the #1 Choice, Best Value, and LARGEST Music School in Hendersonville, North Carolina! Hendersonville NC's most prestigious music school offering music lessons in guitar, bass, drum, piano, voice, violin, viola, cello, woodwind, and brass. Proudly Serving Hendersonville, Fletcher, Arden, Asheville, Brevard, Mills River, Flat Rock, Saluda, and Tryon, North Carolina. Offering Private Music Lessons in Guitar, Bass, Drums, Piano, Voice, Banjo, Mandolin, Harmonica, Violin, Viola, Cello, Upright Bass, Flute, Clarinet, Saxophone, Oboe, Trumpet, Trombone, Euphonium, and Songwriting.